Cashaa, founded in 2016, has built and beta tested a blockchain-powered forex platform, offering innovative exchange and money transfer services between fiat and cryptocurrencies. Cashaa has come a long way in a short time, and have ranked as a Top 100 Most Influential Blockchain Companies in the world. Cashaa’s team is comprised of the best, brightest and most passionate people in the industry sharing the same vision of making blockchain application simple and accessible for the masses. Cashaa’s team have more than 200+ Years of Payments and banking experience which includes executives from Fortune 100 technology companies, central bank and top academic institution. Get the unique opportunity to use your cryptocurrencies trading activity to empower FX transfers for higher return and liquidity. ICO Description: Cashaa is a gateway to consumer-centric and affordable financial products aimed at consumer adoption of Blockchain without having to understand the technical details of Blockchain technology. 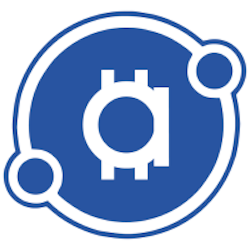 Cashaa’s wallet system, integrated with the peer to peer exchange with full spectrum of fully digital financial services, enables its community to save, spend, borrow and get insured, with a simplified user experience in a legally compliant way.